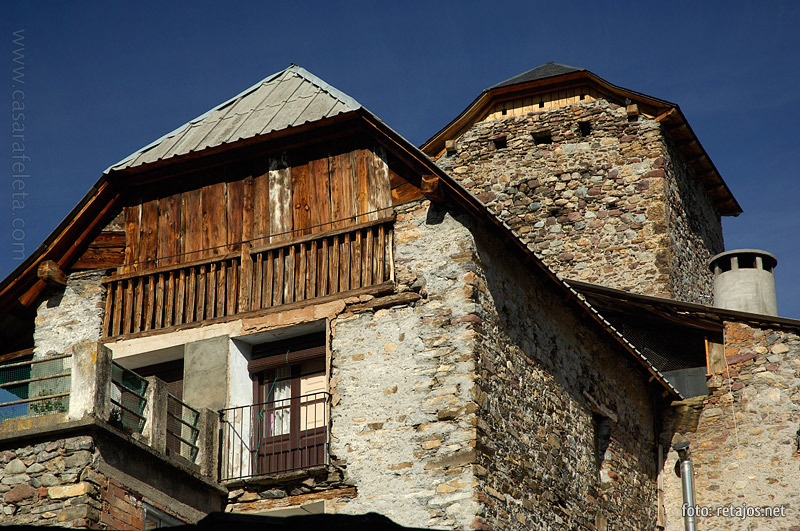 Hidden in the heart of the Spanish Pyrenees lies a valley that has been able to endure progress and the change of times. 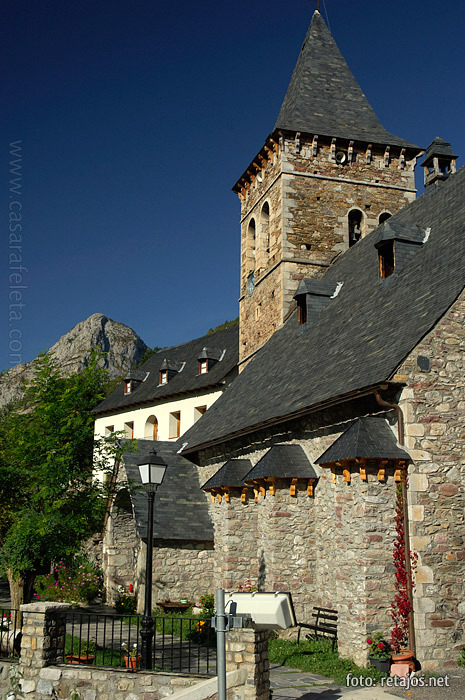 The Valley of Chistau is a clear example of co-existence where humans and nature have advanced hand in hand so that the passage of the centuries has barely altered its appearance. Protected by impressive three thousand meter high mountains, one is surprised again and again by the incomparably beautiful hidden spots: glacial lakes, waterfalls, ravines, peaks, fields, etc., where flora and varied fauna still retain their natural habitat. 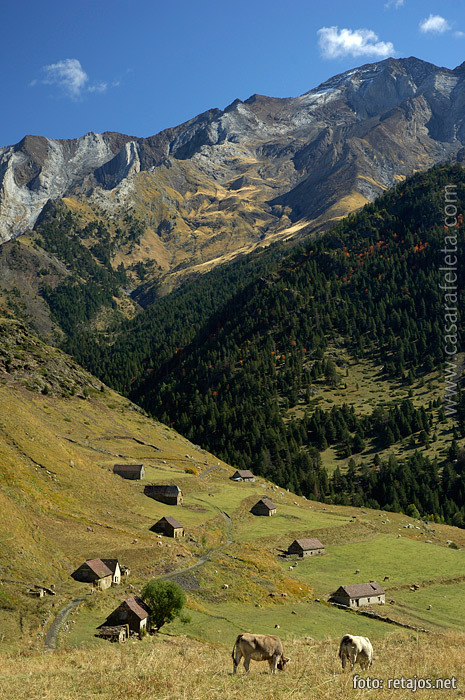 Rising above the valley, we enter the Posets-Maladeta Natural Park, crowned by the second highest peak in the Pyrenees: Posets or Lardana. 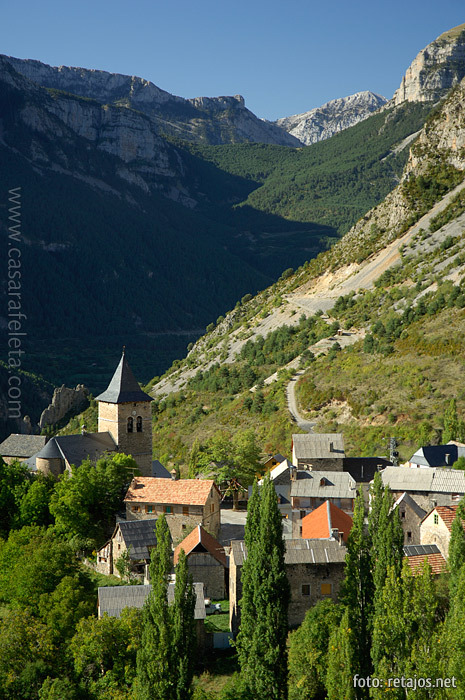 Near the valley, moving westward, one finds the Ordesa and Monte Perdido National Park. Strolling through the centenarian towns, one feels as though he has always been there. 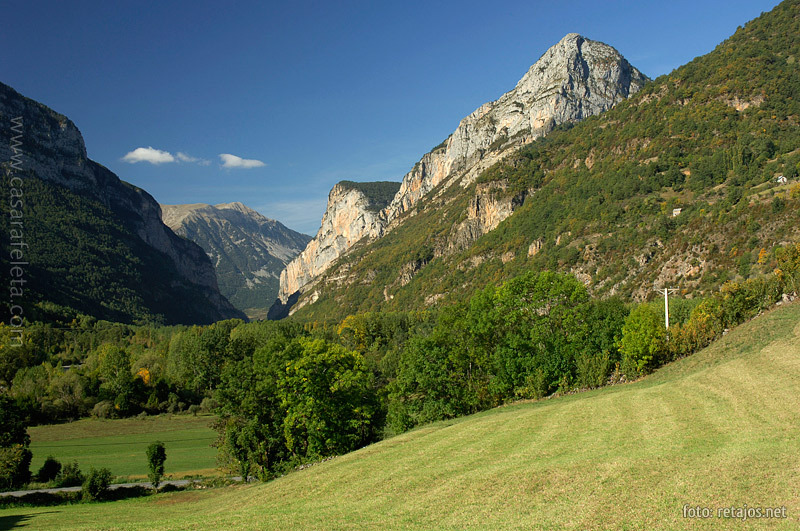 The village and residents exist in perfect harmony with the spectacular landscapes that surround. The partial isolation that the valley has endured up until recent years has helped to preserve our extensive ethnographic treasures, evident in the fiestas, traditions, and in the Chistabín language which is still heard among the inhabitants. Si lo conoces te cautivará.